- Kyle Lobstein has been better than anybody could have possibly expected, He doesn't have great so-called "stuff," but he doesn't beat himself, either. He had a WHIP of nearly 1.5 at Toledo this season, and count me among those who didn't think it was going to work with him getting this many starts at the MLB level, but it clearly is. As a lefty, he might have a decent MLB career as an at the end of the rotation starter or long reliever. Don't see him as a setup man, certainly not closer or even as a situational lefty, although he has gotten left-handed hitters out consistently. - The Tigers have no walks against Chris Bassitt. They just aren't working the count during their at bats, especially with runners on base. 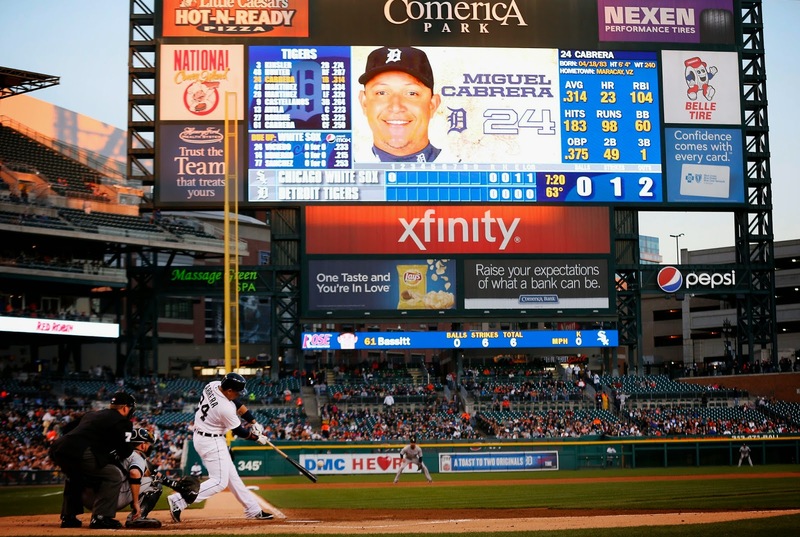 The pop up by Miguel Cabrera to end the fifth inning on the first pitch was particularly telling. - Great throw by Alex Avila to nail Avisail Garcia trying to steal second base in the sixth inning. He has been excellent with his throwing this season, and very solid defensively overall. His detractors get tired of hiring that, but it's true.